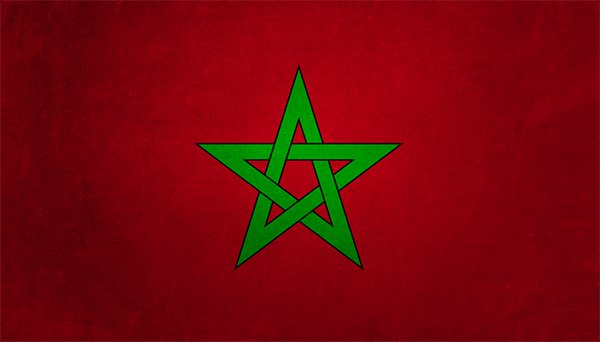 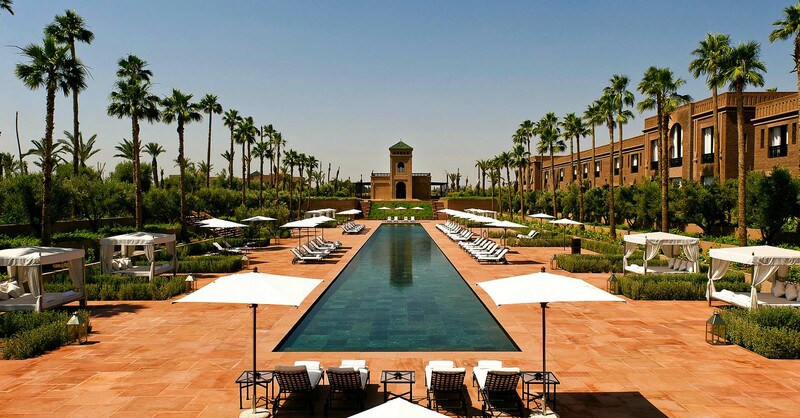 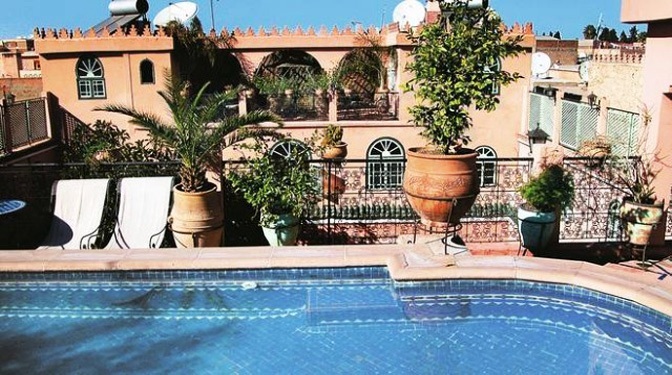 Luxury real estate agency in Marrakech, specializing in the transaction of luxury property , Shams Home offers you this prestigious property with a authentic Moroccan charm. 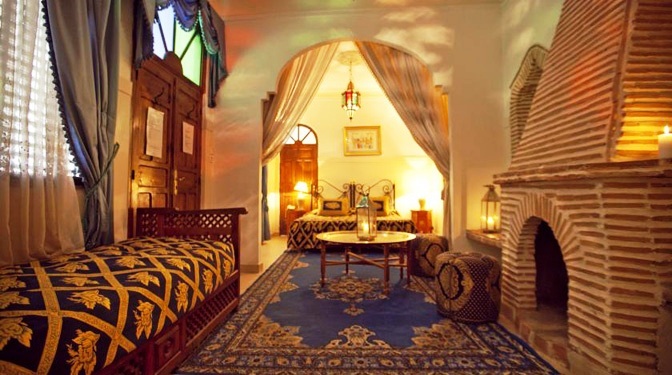 An atypical riad for sale tastefully restored in the respect of tradition is conveniently located a few minutes from the souks and Jamaa El Fna square, in one of the most touristy and safest areas of the Medina. 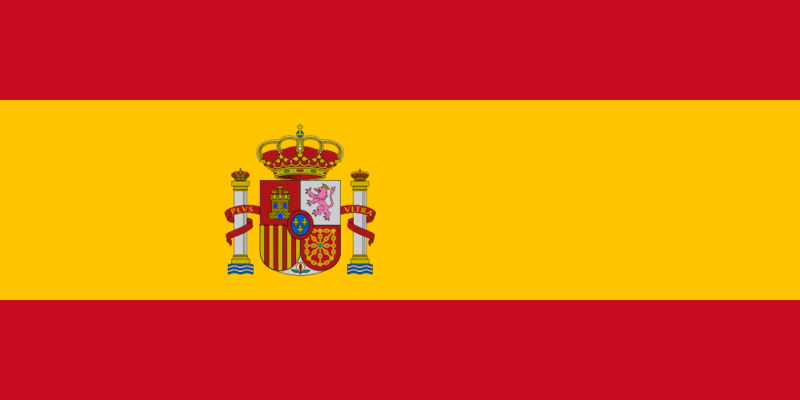 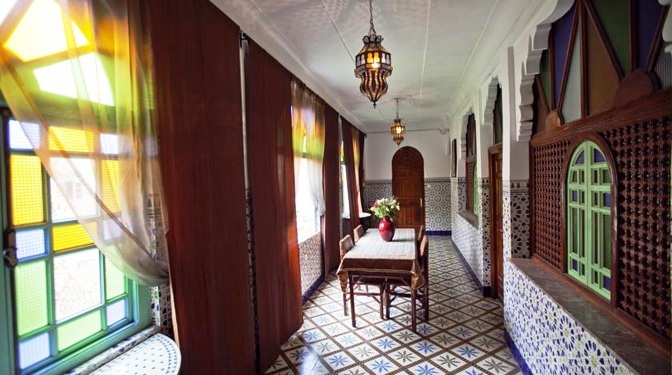 The property is among the oldest references used in guest houses for 20 years, including a reception, a magnificent large patio of 220m ² with fountain, large lounge / living room, a suite with bathroom, a bedroom with bathroom , a large kitchen and two guest toilets. 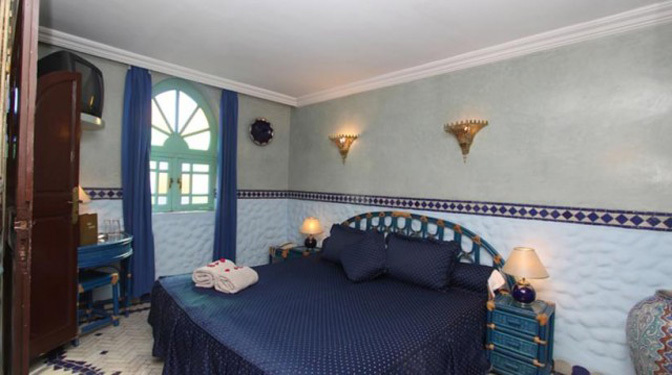 Upstairs, 10 bedrooms with their bathrooms, a suite with bathroom and cloakroom employees. 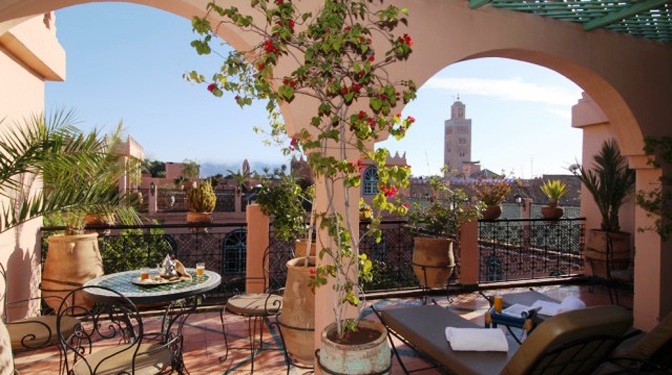 The terrace is perfectly fitted out and benefits from an exceptional sight on the Koutoubia and the Atlas and includes a suite and a room with private bathroom each, a swimming pool, a dining area and a solarium. 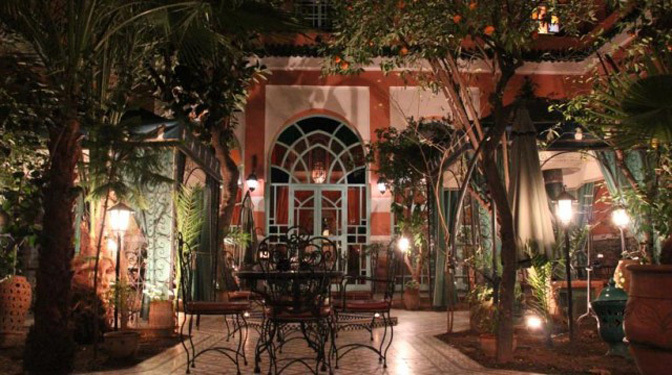 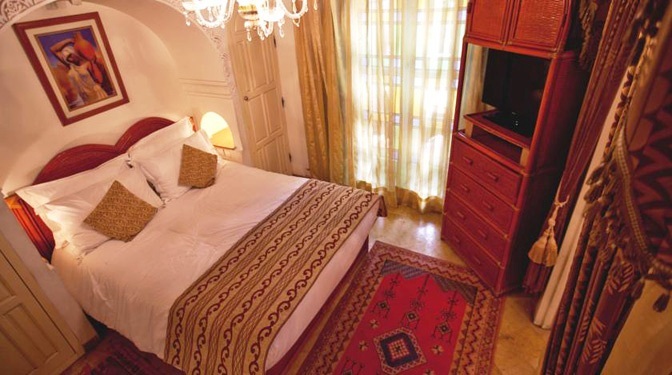 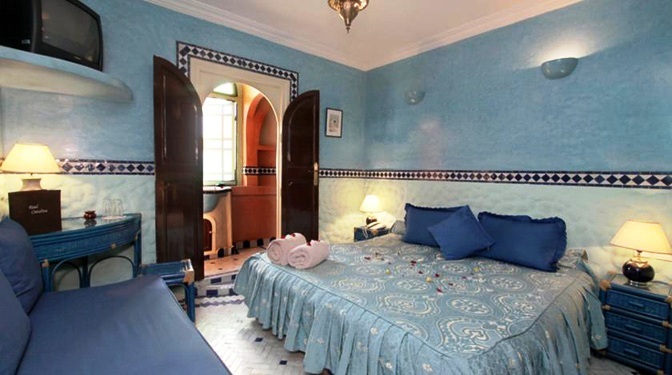 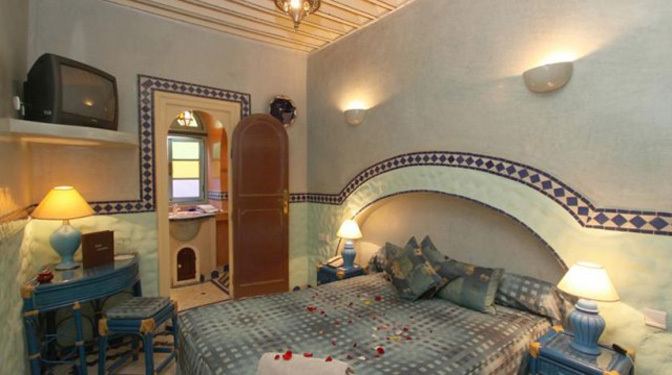 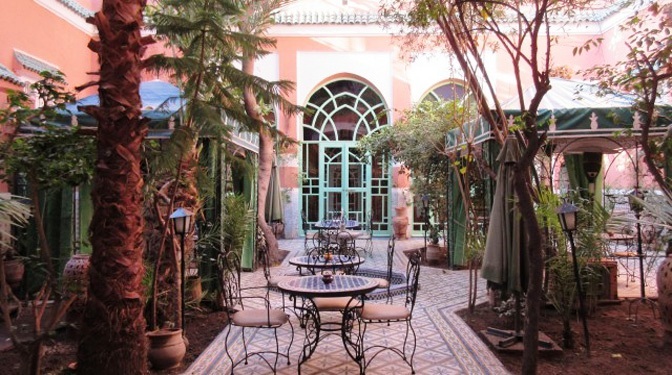 The Riad is adjoining a douiria which has 5 bedrooms with private bathrooms and serves as an annex to the Riad. 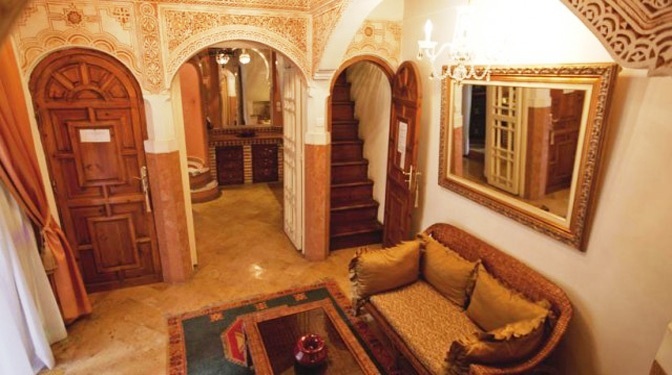 Upstairs, 10 bedrooms with bathrooms, a suite with bathroom and a locker room. 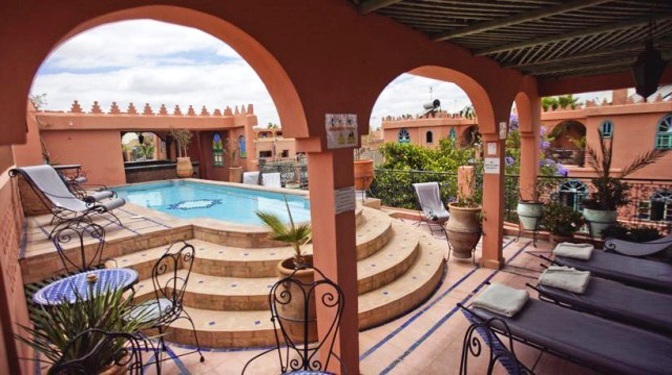 The terrace is fully fitted and has an exceptional view of the Koutoubia and the Atlas mountains and includes a suite and a bedroom and private bathroom each, a swimming pool, a dining area and a solarium. 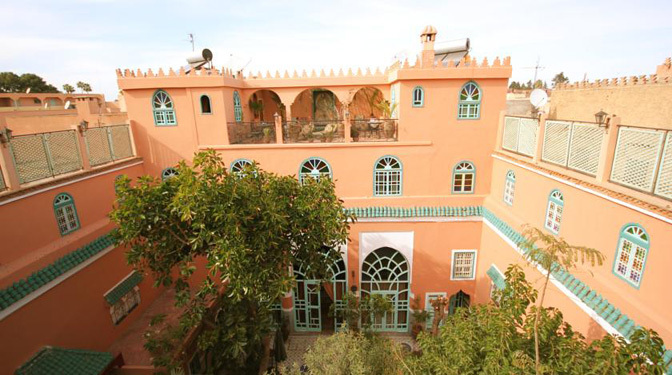 Riad is adjacent to a douiria which has 5 bedrooms with private bathrooms and it is used as an attached house to the Riad.